After four years, I figured that my book, The Ultimate Guide to Web Scraping was due for an upgrade. The internet has changed, websites have gotten more advanced, and I’ve learned a lot of new skills and tactics over the years that I wanted to incorporate into the book. I’ve also gotten a lot of feedback from some of the over 1,300 readers that helped to make the second edition of the book even more thorough and complete. The book has been largely re-written and re-organized to focus on simple concepts, show you them in action, and then build on them for more advanced web scraping use cases. There are over 40 new pages with many more python code samples as well as better coverage of more advanced topics. 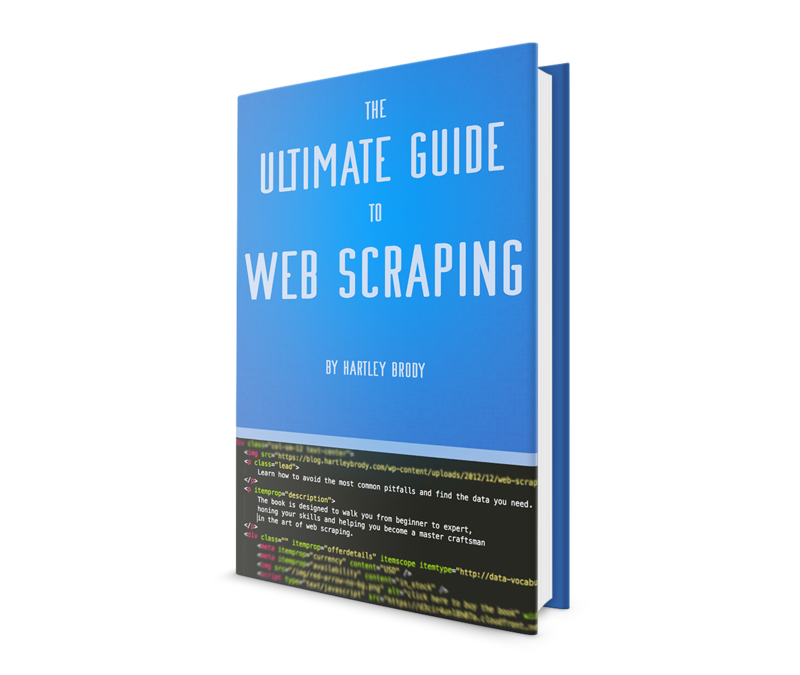 The book also includes a discount code for my online web scraping video course: Scrape This Site (a $50 value). The book is available now on Gumroad and includes a .pdf version as well as .mobi for your Kindle and .epub for your iPad. Buy now or learn more.